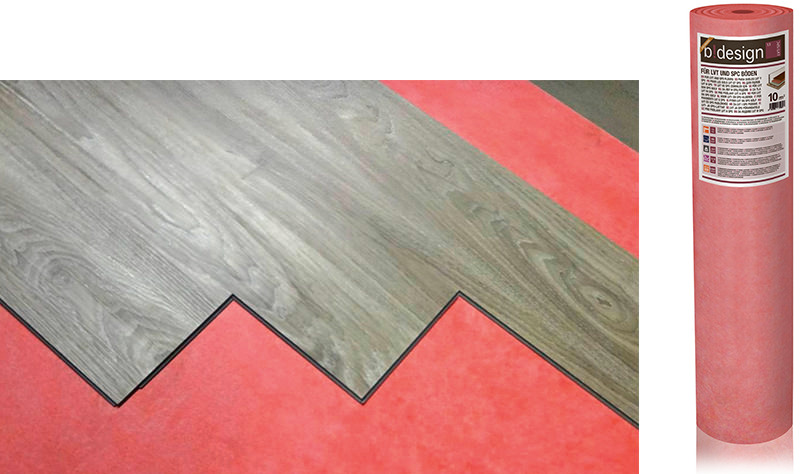 To ensure the necessary acoustic comfort, we recommend our DB1510 underlay matting, which was specially designed for vinyl flooring. The dB Cover underlay matting has a thickness of 1.5 mm and is marketed in standard rolls of 1 m x 10 m. As well as the outstanding impact sound reduction of approx. 18 dB, it also balances out slight unevenness and stabilises the clic connections. Silent Underlay is perfectly matched to all b!design floors. With up to 20 dB, it provides a high degree of impact noise reduction and reduces footfall noises. 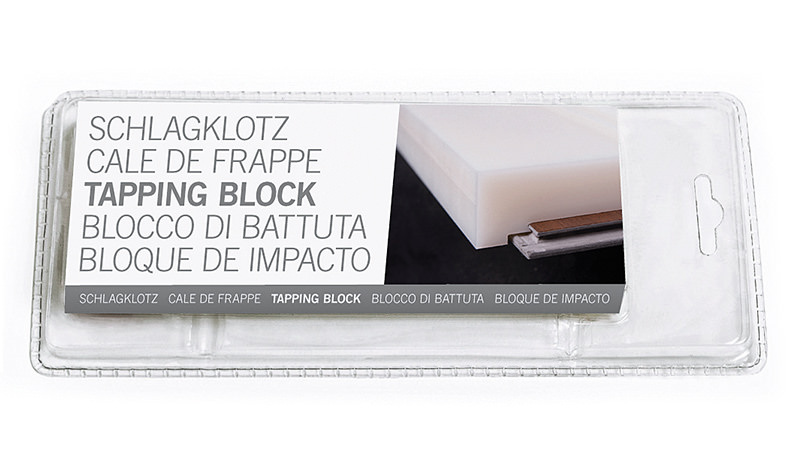 It evens out irregularities, protects the click-fit connection from damage and is ideal for damp rooms. As folding panels, the product is especially easy to lay. Aluminium tape for masking off the splices is included in the package. Skirting boards with a variety of surfaces and a wide range of substrates allow rooms to shine like new. Simple and rapid assembly is guaranteed in conjunction with the innovative mounting systems from ‘profiles and more’. The ‘profiles and more’ internal and external corners and plastic connecting and end pieces provide a perfect connection and a beautiful finish when laying skirting boards. 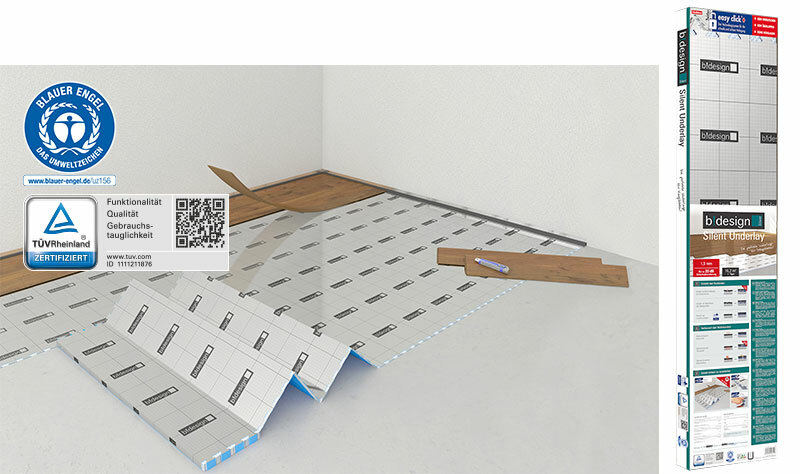 The hammering block, which was especially developed for the b!design designer flooring with clic connection, is universally usable, protects the edges when fitting and helps to ensure a perfect installation. 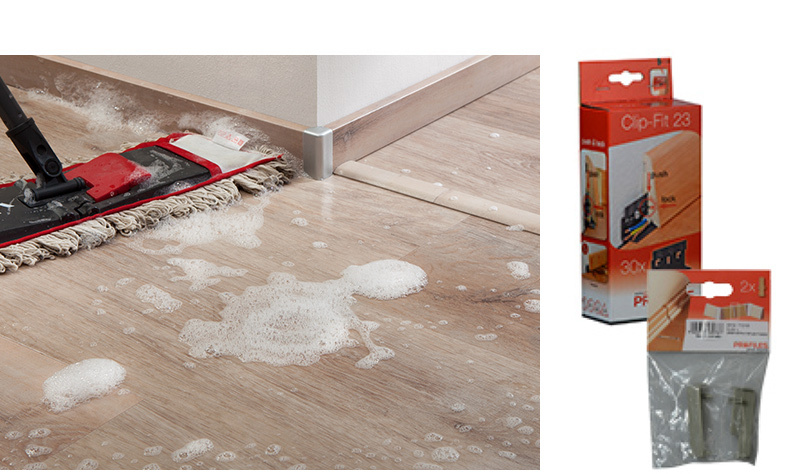 b!design flooring is quick and easy to fit. You will not need any major skilled master performances. A couple of skilled movements with a couple of tools is enough. 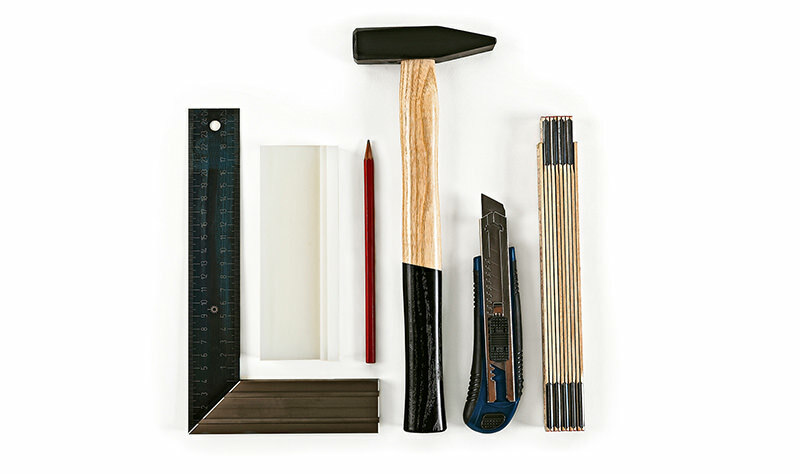 You can find these in any Bauhaus DIY store.